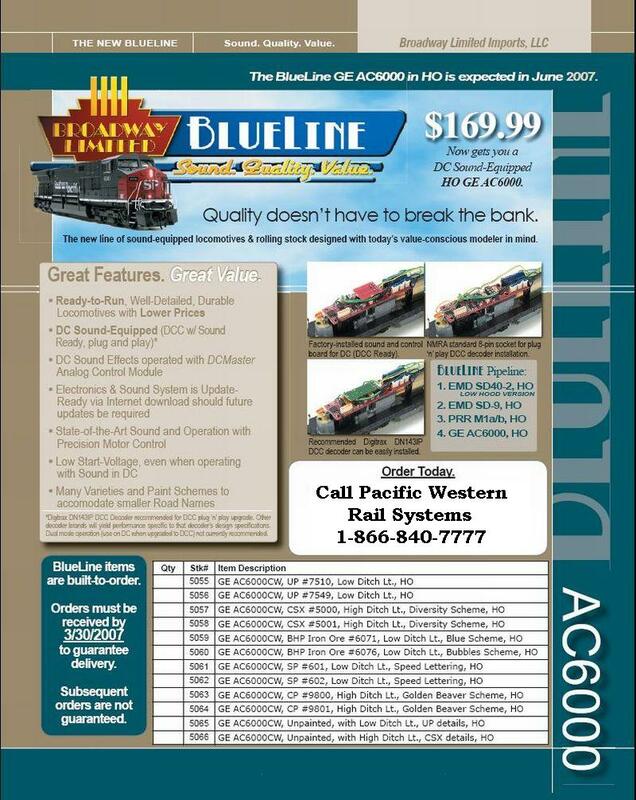 Broadway Limited has just announced some new items in their Blueline Series. For those of you who are unfamiliar with the "Blueline" series, Broadway Limited is now making Analog (non-DCC) engines with sound due to the recent increases in demand from modelers for engines with sound. 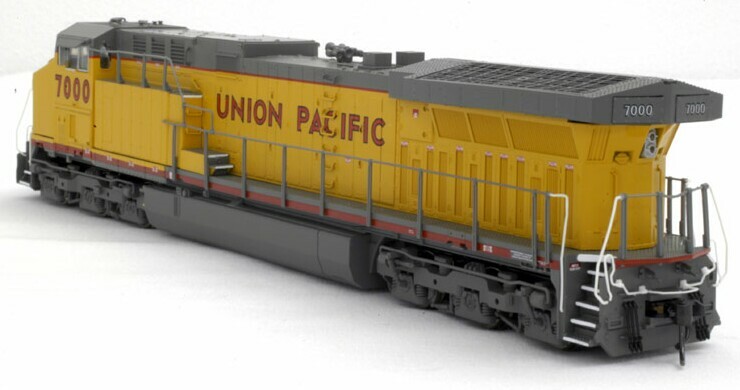 These engines are easily upgradable to include a plug-and-play DCC chip. In the case of these AC6000, Broadway Limited recommends you use Digitrax part # DN143IP (SKU 245-DN1431P)--yes, that is an N Scale decoder. PWRS--Your Train Addiction Help Specialists! UP had 186 of this style GE locomotive in both 6,000 HP and 4,400 HP (Convertables). The main spotting difference between the two is the exhaust stack(s). The 6,000 HP had two stacks as shown in the picture of the model above and the 4,400 HP had a single stack similar to the C44AC units (see below). This would be an easy conversion. CSX had 117 of these also mixed between 6,000 HP (AC60CW) and 4,380 HP (CW44-6) in a broken numbering scheme. SP never had any of these. They were merged with UP about the time these came out. But would they if they had remained a separate railroad? Certainly would have been interesting!